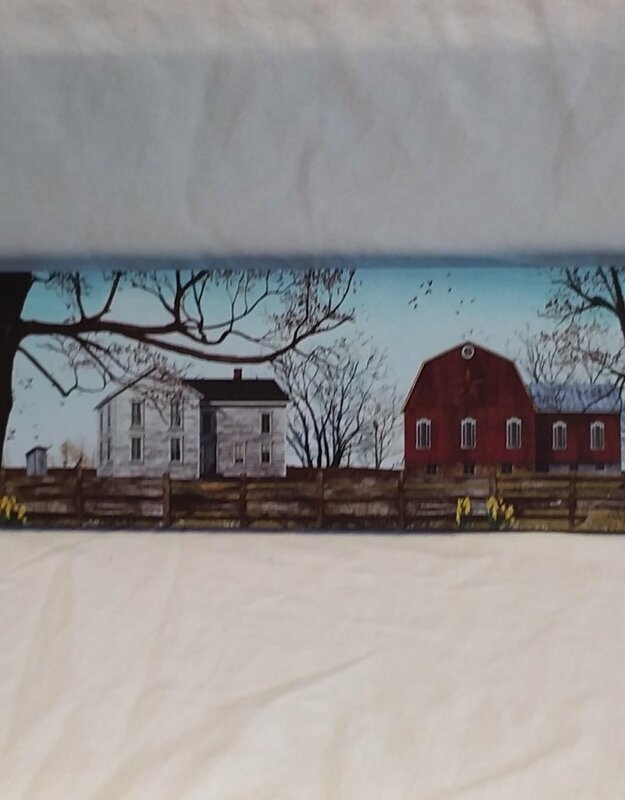 Billy Jacobs, Spring Morning canvas, depicting simple farm life. 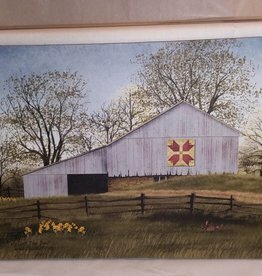 Daffodils by the fence of the home farm. 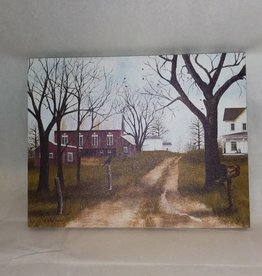 18"x6"
"Billy Jacobs" canvas. 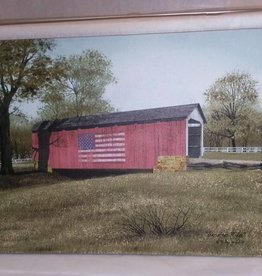 An old covered bridge with USA flag painted on the side. 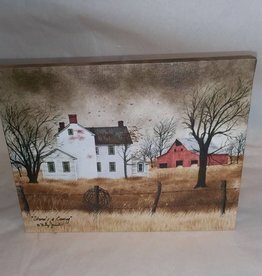 16"x12"
A "Billy Jacobs" canvas entitled "The Old Dirt Road". 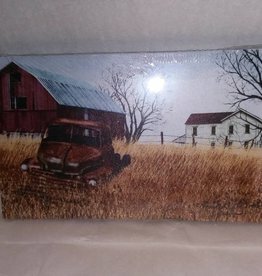 10"x8"
Old Dirt Road Canvas 8x10"
A "Billy Jacobs" canvas titled Grandad's Ole Truck. 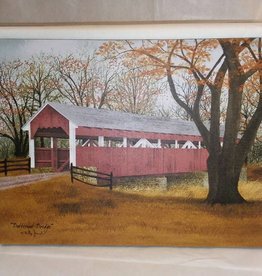 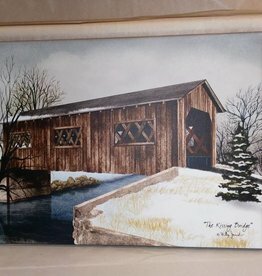 10" x 6"
This canvas, 16" x 12", is titled "The Kissing Bridge" by Billy Jacobs. 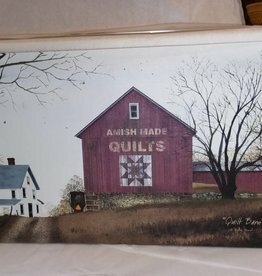 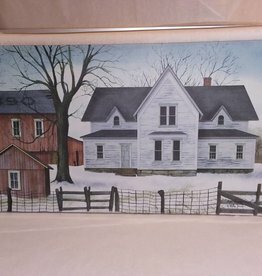 Canvas depicting a simpler time. 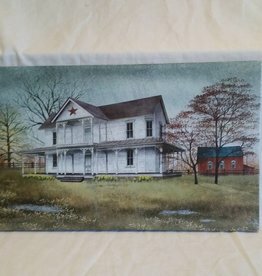 "1890 Farmstead" by Billy Jacobs. 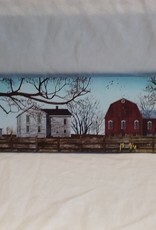 20" x 12"